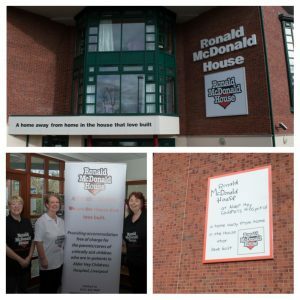 I have been lucky enough to find myself the Social Media and Website Volunteer for Ronald McDonald House Liverpool, or “Mac House” as it is affectionately known to the many thousands of families who it has helped since it opened in 1993. Sitting proudly in the grounds of the amazing new facility that is Alder Hey Childrens Hospital Liverpool, Mac House is an incredible place and it really lives up to its reputation for being a home away from home at one of the toughest times a family can face – when your child is admitted to Alder Hey for what can often be life saving treatment. Volunteering and running events for Mac House really helps !! 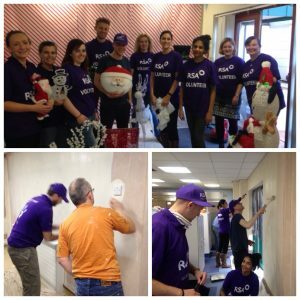 So what exactly does Mac House do and how can volunteering here make a difference ? Well, to be honest, the best way to answer that question is to follow the link to the charities brilliant new website which launched on 1/1/18. 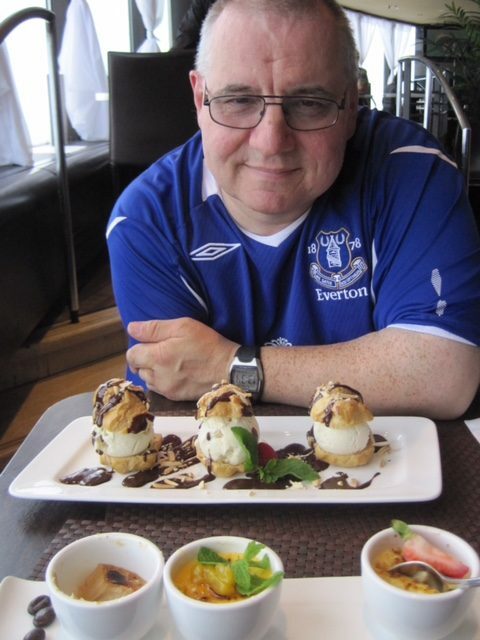 It’s a feature packed site and there is a lively news and blog section getting underway, as well as features on Volunteering, fundraising and Events. It’s important to raise awareness of the new site so please visit and share the link ! When you are the parent of a child with a serious illness, possibly life threatening, you will go to the place that offers the best possible treatment for your child, however far away. You would want to be with them, but would also need a safe and comfortable place to sleep, to cook and do the laundry and most of all, a place where your bedroom is connected by phone to the very Ward your child is in…..
Mac House is that home away from home. The House that Love Built. You feel it all around you whilst you are staying there. From the staff who are there at the beginning to welcome you when all you can think about is being with your child, calmly explaining how it all works and getting you settled in quickly, without fuss. From other families staying in the House who you meet in the kitchen, the dining room, the quiet lounges, the siblings play areas, the garden……and from a unique resource, the families support worker who is there for you throughout your stay. 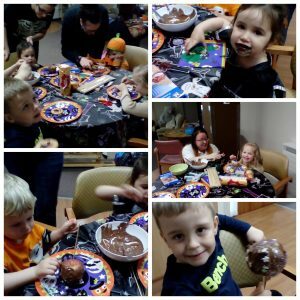 siblings can stay close at Mac House and they are not forgotten at Halloween or any other holiday time ! Research shows that having the ability to stay close to your child whilst they are being treated in hospital hugely aids recovery, makes a massive difference to all the family including the brothers or sisters of the child being cared for, and helping families stay close by is what Mac House does. Mac House can provide all of this but it is an expensive resource. The House is a registered charity and is funded entirely by voluntary donations. It costs around £25 a day or £175 a week to accommodate a family and they have to raise over £600,000 a year to keep the doors open and having Mac House close by has helped 30,000 families since it opened in 1993. Mac House is the largest Ronald McDonald house in Europe, with 84 bedrooms, including 15 longer stay apartments, and can help over 2,000 families a year, many of whom come from as far afield as North Wales, Staffordshire, Cheshire, Lancashire, the Isle of Man and of course all across Merseyside and the North West. The House provides families with a warm and welcoming environment within which they can stay for as long as they need, be it a matter of days, weeks, months or in some cases, even years. Mac House is equipped with the facilities for family living, with bedrooms, spacious lounges, tv in your room and a separate tv lounge, wifi, galley kitchens, your own food storage lockers, playrooms, and a laundry. Families can cook, clean, rest, and be together, all the time knowing that they are just minutes away their child in hospital. The difference this can make is simply incredible. 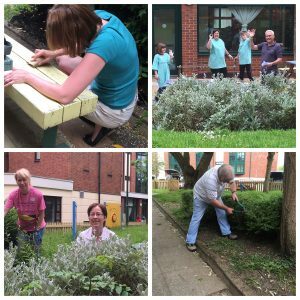 Volunteering with Mac House takes many forms, theres even some gardening opportunities !! Volunteering with Mac House !! Volunteering is fun and very satisfying ! But more than that, different people can get so much from Volunteering with Mac House and there are so many ways to get involved ! Maybe your retired now or part time and would like to donate some of your time and your skills. Perhaps your a student and want to add tangible work experience to your CV through volunteering. You might have a professional background and can help the management team in a number of ways. You could be someone who wants to pitch in around the daily life of the House and help their families in a very direct way from being part of the once weekly family meal evening, or helping with the “Waffle Friday” or making a difference by assisting in the task of keeping the family garden well maintained and a lovely place for kids and their parents to take a break and relax in one of our famous hot summers !! Volunteers are an integral part of everything done at Mac House, without them nothing much can happen, fewer families can stay at the house, and things would be much harder for them when they do. Everyone can Volunteer with Mac House, any age from 16(*) and from all walks of life with very different life experience. 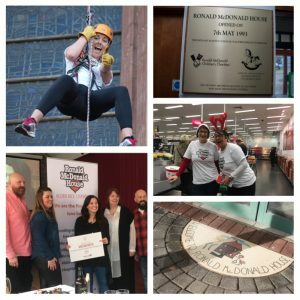 To give you some idea of how Volunteers can help here’s a list of just a few of very varied ways Volunteers have helped recently and these continue to be areas Mac House needs support with…. > managing / contributing to the House’s growing social media platforms like Facebook, Twitter, LinkedIn and the soon-to-be wonderful new website – helping to add content to pages and spread the word about Mac House ! > painting and decorating ! > speaking to Groups and Associations, school assemblies etc about the work of Mac House – the team provide the guest speaker training / awareness sessions and all the information you need ! 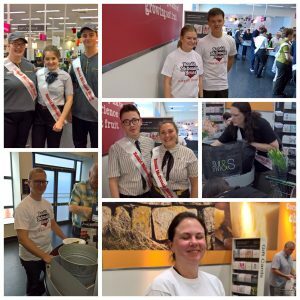 > delivering and emptying collecting boxes from your local area shops, pubs, clubs, and helping the Fundraising team source new places for collecting boxes ! There are a lot of ways you can Volunteer with Mac House, and possibly some you might suggest yourselves, so why not give them a call to talk about volunteering with Mac House, it’s hugely enjoyable and you see the difference you make right in front of you ! 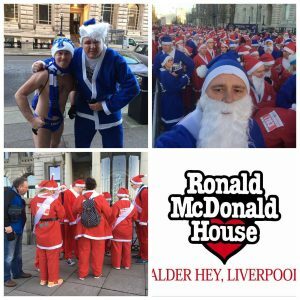 The Liverpool Santa Dash 2016 ! Mac House fundraising is great fun !! Fundraising for Mac House !! It costs £600,000 pa to keep the doors open for families at Mac House and every penny has to be raised independently by the house. Fundraising with Mac House is a really enjoyable and very satisfying experience, a bit like volunteering is but with a more financial imperative !! There are loads of ways to help. From baking competitions to classic Tombola’s or big set piece events to bag packing to collecting, from taking part in amazing challenge events like the London Marathon or the Liverpool Rock n Roll experience, or a 5k run/walk/stroll in the park, to organising your own fundraising event like a dinner, a raffle, to holding a BBQ afternoon to playing a rugby or football match for the House. And thats just the start of a long list of great things Mac House supporters do to raise the funds that keep Mac House open for thousands of families. 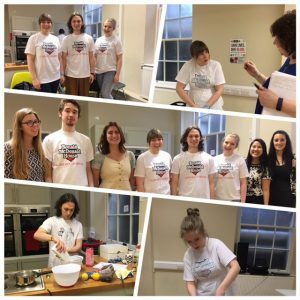 Baking competitions are a popular way of raising funds !